It doesn’t matter who my father was, it matters who I remember he was. Fathers come in all shapes and sizes, with a broad range in interests. Here are some ideas that may help you find ways to engage the person in simple and fun activities that may be appropriate. The list is not comprehensive, but use it as a starting point to come up with your own ideas. And remember, these ideas are not just for men, and certainly not just for Father’s Day. If the person enjoys the activity, be sure to repeat it on a regular basis. Many poems have been written about fathers over the years, and for someone who enjoys words, reading and poetry, they can be made into an engaging activity. It can be done as an individual activity, or in a facility, it can be done in a small group of up to four participants. 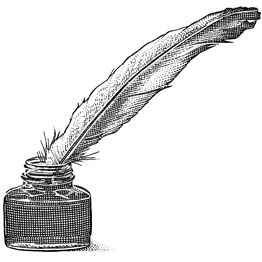 The first step is to find an appropriate poem – many can be found by following the suggestions at poets.org. To prepare for the activity, print out two copies of the poem. Cut each line of the first copy into separate strips. Cut the second copy so that there is one verse on each part. If you have a laminator, laminate the pages before cutting them. Read the first line of the poem out loud and have the participants repeat it. Do this for each of the lines of the poem. When finished, encourage discussion about the poem and any memories that the participants may have about it. Distribute the strips to the participants randomly. As you read the poem out loud, have the participants offer up the matching line. Hand each person in the group one of the half page templates, along with the corresponding strips. Have them put the strips over the corresponding line on the template. For more challenge, give the participant more than one template at a time, or give them more strips than match the template. If the person with dementia was “hands-on” and enjoyed fixing things and working with tools, they may be interested in some of these ideas. Download the Match the Photos “Tools” activity in this newsletter. 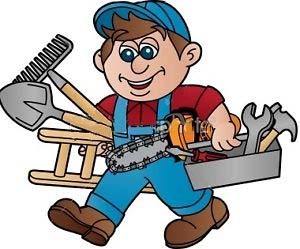 Can he identify the tools? Can he tell stories about how they are used? For a less abstract version, make outlines of actual tools and have the person place the tool on the outline, either in a toolbox or on a table. For a more challenging activity, prepare a project that requires the use of a tool. For example, partially screw a few screws into a board and have the person remove them with the appropriate screw driver. Do the same with a nut and bolt (with a wrench or pliers), or a nail (with a claw hammer). If the person doesn’t pick up the appropriate tool, help them out by pointing to it and asking them if that might be the correct one. Many people enjoy card games and even if they are no longer able to play the complete game, you can use that experience for meaningful activities. Here are some ideas, depending on the type of games the person enjoys. Solitaire: place the four kings in a row in front of him and ask him to sort the rest of the deck by suit. If they choose to sort by color, or some other criteria, that is just as good. Once that is done, ask him to put the cards from each pile in descending order. Games with “trump” (euchre, whist, skat, klabberjas or contract bridge, for example): Play "Highest Card Wins" with trump. For each of the four suits, make up ¼ page sign with the words “TRUMP IS….” and an image of the suit. Remove any cards from the deck that aren’t used in the regular card game, if the full deck isn’t used (for example, the cards 2 thru 8 in Euchre). Pick one of the “TRUMP IS” cards and place it on the table. Divide the deck evenly for the number of participants (half for two, thirds for three, etc). Give each participant one of the stacks. The first participant turns up a card. This is the suit that is called for. Each subsequent participant turns up a card. The winning card is the highest ranking trump card (the bower in Euchre, for example), or the highest ranking card in the suit led first if no trump was played. Have the participants identify the winning card using the terminology of the game. 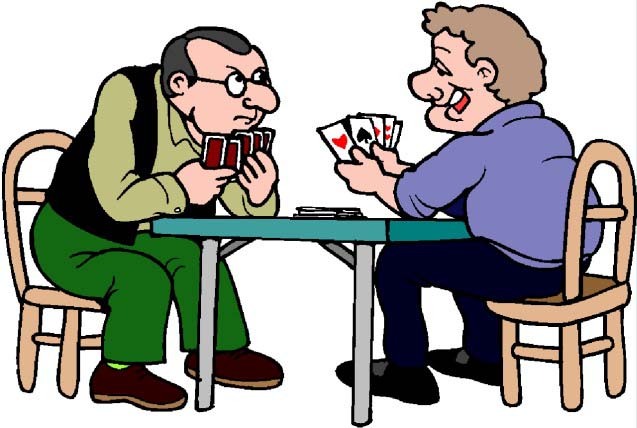 Cribbage Players: Deal four cards to each player and have someone cut the deck and turn over the “starter”. Have each person count up the number of “15’s” in their hand. Scrabble: For each activity, start with just a few tiles, then increase the number as the person is successful. Putting too many tiles out at once may be too distracting. Start by having the person sort the tiles so that all of the same letter are together, then locate the vowels and arrange them so they are visible and accessible. Ask the person to make three letter words (in a Scrabble “rack”) using different criteria, for example one consonant then two vowels that are the same; one vowel then two consonants the same; start and end with the same consonant. If the person is successful and enjoys the activity, progress to four letter words. Yahtzee: Roll two dice until “doubles” are rolled, or set one die on the table and roll the other die until the same face appears. 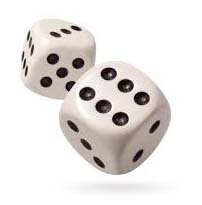 Use three dice - roll two until doubles are rolled, then roll the third until it matches the first two. Try to get a “straight” (three consecutive numbers) – roll two until they are consecutive, then roll the third until it completes the straight. Start by having the person examine the pieces and identify each (depending on the set, they may be a thimble, boot, iron, wheelbarrow, tophat, scottie dog, battleship, racecar, etc). Talk about the significance of each of the pieces and encourage reminiscing. If they are still interested, have them sort the money and ask if they would like to count it. Bring out the deeds and after looking through them and reminiscing, have the person sort them by color. Ask if they have a preference. Talk about the relative costs of each and suggest that they count out the money for the property they selected and others. Read the cards in Community Chest and Chance and discuss each one. These are just some ideas that may be appropriate for some people. Others might include making an activity out of identifying and/or moving chess men around (for the chess player) or maybe sorting stamps or coins (for the collector). The idea is to find something that is appealing to the person and make a simple, but fun and engaging activity based on their interest. You might want to check out our Dementia Gift Ideas page for more ideas.